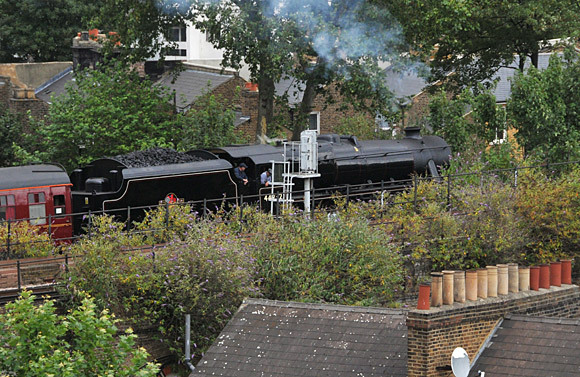 Not many things cheer my day up more than the sound of a steam engine puffing by, so I was, err, well chuffed to see this LMS Stanier Class 5 locomotive pass my window. 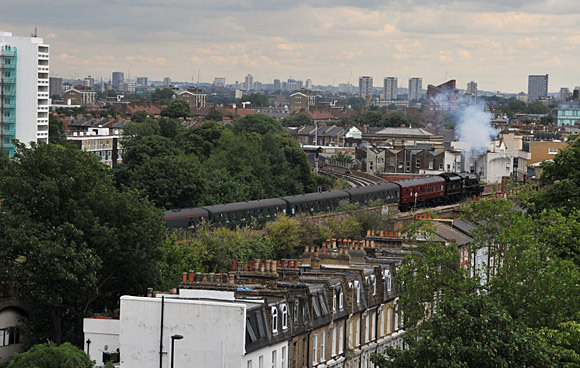 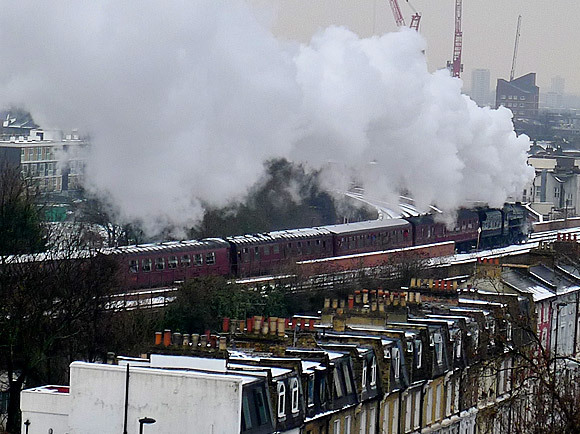 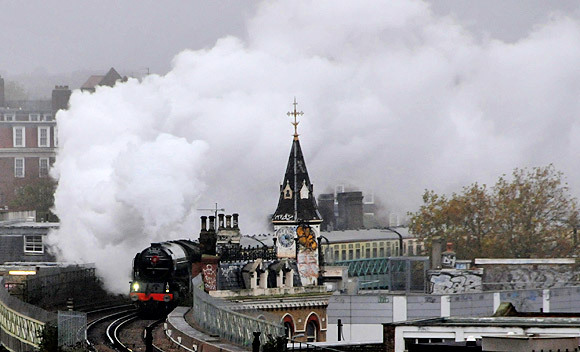 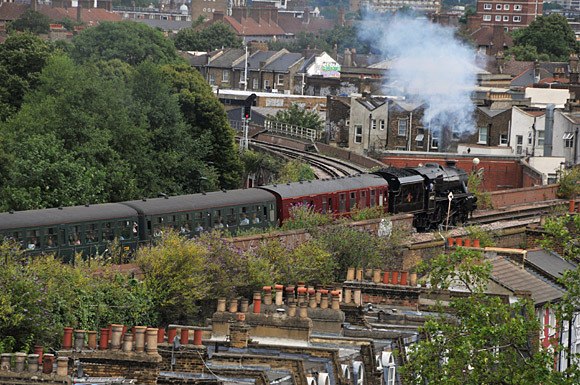 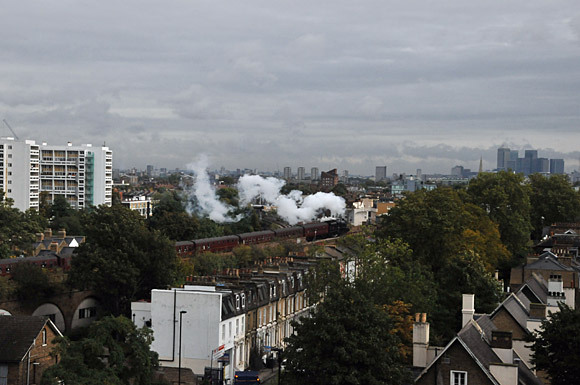 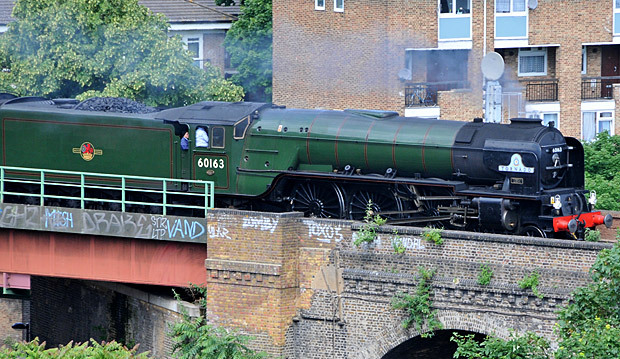 Seen resplendent in BR ‘Blackberry Black’ as it heads east past Brixton towards Loughborough Junction is LMS Stanier Class 5 4-6-0 number 44932. 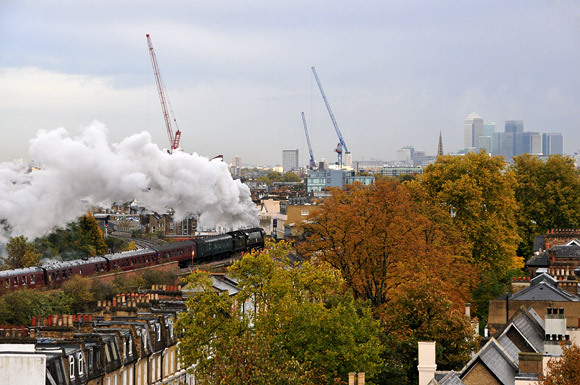 The locomotive class was introduced by William Stanier in 1934, and no less than 842 were built up until 1951, with many working till the end of steam on British Railways in 1968. 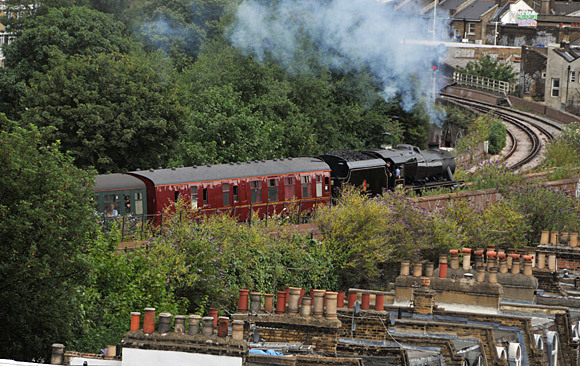 Eighteen engines are now preserved.